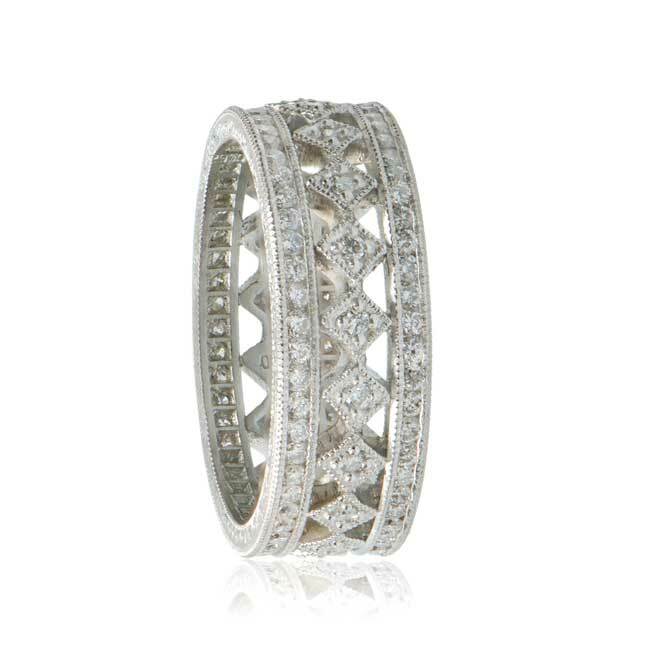 A Beautiful Harlequin Collection Platinum and Diamond Band. 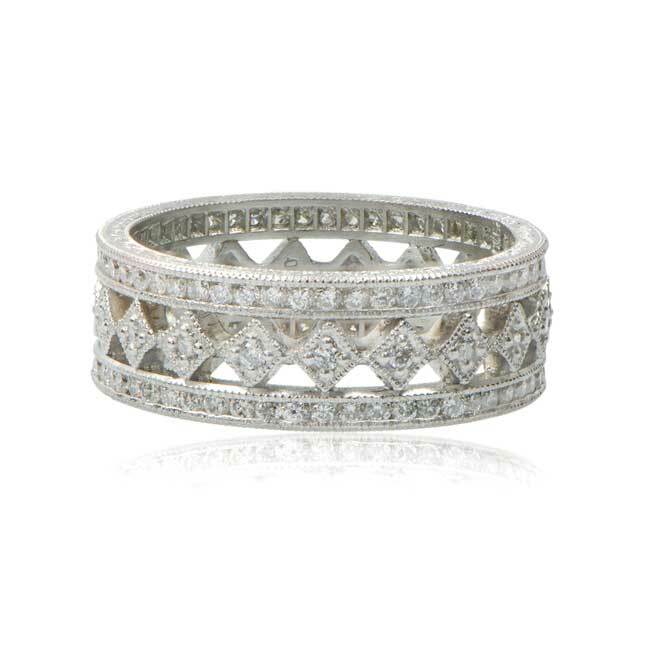 Round diamonds shimmer all the way around this harlequin-design eternity band. A row of full cut diamonds set in diamond shape boxes line the center and are bordered by a row of fine quality full cut diamonds on each side. Diamonds are Brilliant-cut, H color, VS1 clarity. This band has approximately 1.50 carats of diamonds. 6.5mm wide. SKU: 3365 Category: Vintage Wedding Bands - Contact us and request additional pictures.